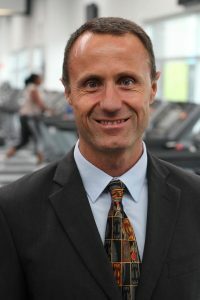 Guest Bio: Stephen Eddey is a qualified Nutritionist and Naturopath and is the Principal of Australia’s longest established natural medicine college, Health Schools Australia. He has completed a Bachelor of Complementary Medicine as well as a Masters in Health Science and PhD in Nutritional Medicine. Segment overview: In today’s Health Supplier Segment, we welcome returning guest Stephen Eddey who is here to share information on the cellular energy and heart health benefits of Ubiquinol. A number of studies has shown that respondents who were given Ubiquinol demonstrated higher levels of muscle power compared to those who did not receive the supplement. Results have also shown that using Ubiquinol for sports nutrition can be seen to have several advantages for sportspeople and regular supplementation can aid faster recovery, better adaption and power enhancement. Wayne Bucklar: You’re listening to Health Professional Radio with Wayne Bucklar. My guest today is Stephen Eddey. Stephen is the qualified Nutritionist and a Naturopath and he is the Principal of Australia’s longest established natural medicine college, Health Schools Australia. He has completed a Bachelor Complementary Medicine as well as a Masters in Health Science and a PhD in Nutritional Medicine. Stephen joins us today from the Queensland location. Stephen welcome to Health Professional Radio. Stephen Eddy: It’s great to be here. W: Now Stephen we’ve had a chat before about various complimentary medicines but today we will talk about ubiquinol. S: Yes. Yes Ubiquinol is a wonderful natural medicine that it can help many people with great amount to improve their energy levels. W: Now this is already naturally inside our bodies, isn’t it? S: It is. Our body makes a small amount of Ubiquinol. And we also get a small amount through our food and we can also supplement those up to become optimal levels in our body. W: Okay, is there research support these benefits of ubiquinol? S: One of the great things I like about ubiquinol is the research because it shows quite effectively that by supplementing this ubiquinol we can improve our performance, our energy levels, and our cardiovascular function as well as being a terrific antioxidant as well. W: Now there is a headline in my brief here that I’ve read that I love, and it talks about inflammation in a hundred Spanish firemen, now I have of a hundred Spanish firemen bursting into flames here. Are you familiar with that bit of research? S: Yes, it’s terrific I love that. I love all of the ubiquinol research has been there’s a whole lot of marathon runners in one research and all sorts of things. It’s all so terrific. W: Now apparently there’s been double blind researches done in Rugby players and in athletes and in all sorts of people. What are the benefits the research is indicating with ubiquinol Stephen? S: Sure. The main benefit that seem to have been around athletics and the athletes. And what happens when you’re an athlete and you take ubiquinol your performance improve. You get a lot more energy to be able to function at your top and the same thing is the rise of an increase of by 3 to 5% depending on the study you read. And that may not sound like too much but for me I run marathons. Now if I just need to improve my marathon running by 2 and a half percent, then I’m gonna be a kilometer ahead of where I would be without ubiquinol so it is quite a dramatic improvement. W: And I understand it’s also prescribed by some cardiologists for people who were on statin, and I guess for many people in my generation statin is a pretty common medication. S: Yes, common… Statin it is the most common medicine prescribed in Australia today. And statin actually reduces the body’s production of ubiquinol so supplementing is almost a necessity when you’re talking statin medications. W: And what’s the impact of that reduced ubiquinol Stephen? S: Well the main one is for reduced energy level, so you get vastly reduce energy levels when your ubiquinol levels drop, but also you start to become forgetful and you also get a lot of muscle pain. And that occurs dramatically when you have low ubiquinol levels in the body. And that’s why supplementation when you’re on a statin medication is ideal. And of course check with your medical doctor about that, before you take any supplementation. W: And I guess a lot of statins are prescribed to people in their 60’s when some muscle pain and some lack of energy and some decrease in cognitive function is kind of easy to put down as just getting old. S: Well that’s the sad thing, people say “Oh you know you’re just getting old and you cannot handle pain” and … other people “You’re getting old, you probably need to exercise more.” “But I can’t. I don’t have enough energy” and others say “Yeah well you’re getting old.” And you’re absolutely correct and that’s a problem because if you’re confusing these two then supplementing with ubiquinol is a really simple way that will improve the health of someone beyond their cardiovascular health and improve their energy level. So of course once their energy level increase, they’ll be able to go to the gym and start getting on with life and improving the quality of their life which is what we’re all chasing. W: Now Stephen is this something you need a prescription for? Is it an over the counter medicine or that we have to eat a lot of green leafy vegetables and celery stems or how do we go about this? S: Sure. Of course you can go about eating a lot of healthy food. But you need to eat about 4 kilograms of chicken the optimal load amount of ubiquinol. So various way and simplest way is the over the counter, natural medicine and you get it through the pharmacy or natural medicine or naturopath, just ask for “ubiquinol” and not “ubiquinone” there’s two forms of CoQ10. Ubiquinol the OL means is the most beneficial form because it is the most reduced form and that’s the active form and that’s the one which is found in the body. So that’s what we’re aiming for. W: And you just mentioned CoQ10 there, can you explain that? S: Sure. CoQ10 is either ubiquinol or ubiquinone. And CoQ10, the active form of CoQ10 is ubiquinol which is what we’re talking about today, there is an oxidized form which is ubiquinone and that’s a cheaper version but it’s not effective in the body. We need that supplement to be activated in the body but what I recommend to my patients is you just take the reduced or the active form straight away so you get the greatest benefits from it. S: Yeah and that’s the problem because then your average person takes the ubiquinone form, the non-active form, they don’t get any benefit from it. And then they come and see me and they say “Oh I’ve tried that CoQ10, it doesn’t bring me any good. I don’t feel any different on it.” And that’s sad because then you’re trying to convince them taking ubiquinol is the better form and they look at you like you’ve got two heads. Unfortunately that’s the big problem because people do get the wrong form and they don’t get any benefit from it. W: Now I noticed here in my brief today Stephen, there’s a line that says ubiquinol present at higher levels in healthy sperm and it’s now being used as supplement to help boost male sperm count. But representing the generation on statins I don’t think that’s an issue for me. S: (laugh) Yeah, well as you know sperms swim and swimming requires a lot of energy and the tail in the sperm is where the mitochondria or energy producing part of the cells are. So that’s of course where ubiquinol is in higher concentration. So it actually helps the sperm move and swim and so that’s where ubiquinol is beneficial for fertility. It makes your sperm more potent as well, so that’s the side effect of it, so it’s a good side effect obviously. W: I’ll drop a note to my children and grandchildren about that one I think. W: Stephen many of our audience are clinicians that are working in acute care and aged care, is there a message you’d like them to take away from having heard our chat today? S: Sure. Look for the active form of CoQ10 which is ubiquinol with the OL and that’s the take home message. That’s the one with all the research, that’s the one that will give you energy, and it will improve your sperm as well. There you go. W: If you just missed my conversation, I’ve been having here another chat as I often do with Stephen Eddey. 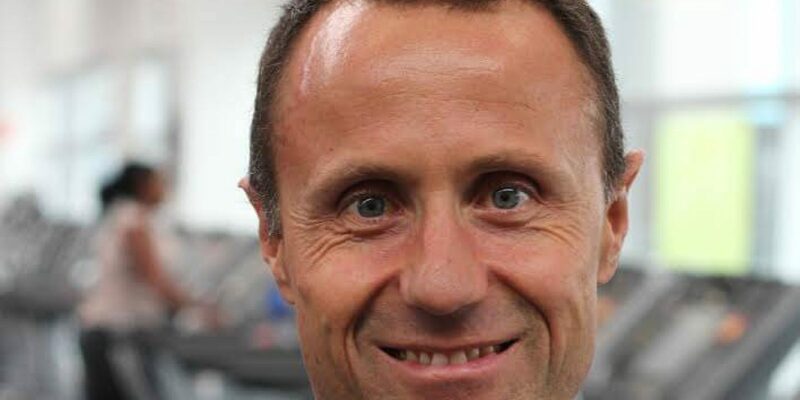 Stephen is the Principal of health Schools Australia, and has a Bachelor of Complementary Medicine, and a Masters in Health Science and a PhD in Nutritional Medicine. And he’s our go to guy when we’re talking complementary medicines. The good news is we’ve got a transcript of our conversation available for you on our website at www.hpr.fm or you can listen to the interview again on both SoundCloud and YouTube and there are links to that on our website. Stephen it’s been a pleasure having you with us once again. Thanks for joining us. W: And it’s great to chat. Let’s chat anytime soon. W: My pleasure. You’re listening to Health Professional Radio, my name is Wayne Bucklar.